As the AES (Audio Engineering Society) convention was just in NYC I had intended to offer a brief overview on some highlights. I usually look forward to the event where I get to catch up with people only spoken with on the phone most of the year. Walking into the show & learning the unfortunate news of Michael Spitz’s passing away on October 12th understandably & unquestionably dampened my enthusiasm that day. I decided to abandon my plans & just go home & be with my family. 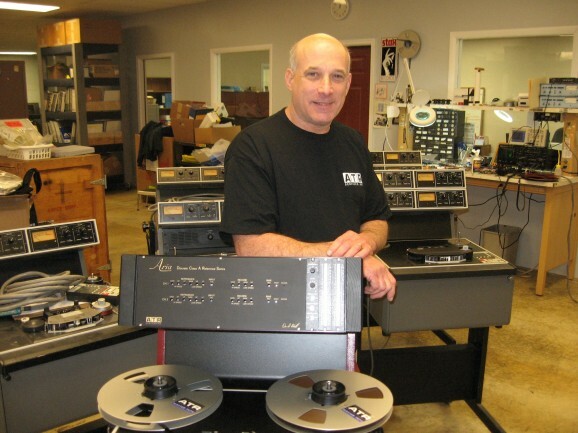 Mike was one of the many “behind the scenes” people most never knew, but who’s technical work for Ampex & later ATR services touched upon countless creative projects. If you ever recorded an album on tape, his work likely touched yours. Mike was an invaluable source of knowledge, a true mentor. He will be greatly missed. In my last article we left off discussing how artists today have so many more options available to them for producing a music project. The question is, can you be honest with yourself (or bandmates) about which activities you need to outsource and which ones you not only want to do yourself but are actually skilled to do on your own. Here is some insight into what some of the musicians I’ve been working with lately have to say on the subject. 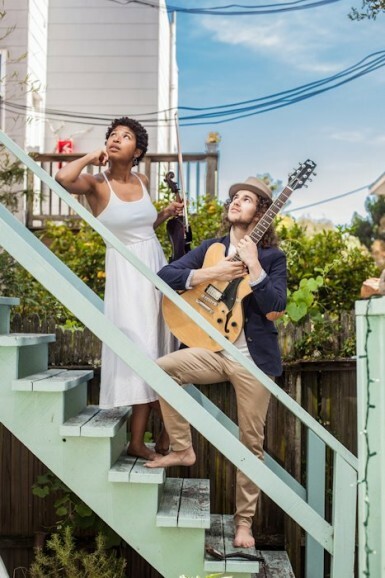 Aziza & the Cure is a Symphonic Soul Pop duo based in NYC & devoted to happiness, health, and good music. They compose and arrange all the music that their duo/band performs. They outsourced the production and recording of their Kickstarter video to Artem Agafonov, an experienced and sought after videographer who’s work they enjoyed and were familiar with. Though the band has sample tracks and an EP that they recorded, mixed and mastered on their own, they decided to enlist the skills of MetroSonic for the recording, mixing, and mastering of their debut album. They also contracted additional musicians to perform and record in the studio. The design they wanted for their album artwork required a professional in the line of photography, Ben Zank, an up and coming photographer who’s work the group greatly admired. But when it comes to marketing and promoting their new album, the band is still weighing their options. And this brings up an important factor for weighing whether or not to hire a professional. Beyond just knowing that they need a marketing campaign, Aziza & the Cure also feel that there isn’t enough time for them to learn how to properly manage their own marketing with a looming deadline. Given time, surely they would learn how to effectively launch a campaign and reach levels of success. And this isn’t to say that with future albums they won’t decide to develop and manage all or a significant portion of their own marketing on their own. A music campaign with tight timelines though is not the time for trial and error – especially if you are not experienced or don’t have the proper contacts to reach your target audience. Sometimes the window of opportunity for releasing new music is very small. Often enough, this is because the quantity of new music that is released each week happens so rapidly and on such a large scale that without the right marketing behind it, a new song can get lost against all the other music that’s either already on the market or better promoted for an upcoming release. This would be a situation where an artist would be better served to outsource or hire a professional to manage specific tasks (i.e. PR blasts, radio outreach, etc.) especially if that person has strong contacts and can make a meaningful impact. Of course, the band can continue to market and promote directly through their existing social media outlets by themselves as this comes across as more authentic anyway. But for high priority outreach, it makes absolute sense for them to hire someone experienced in marketing and promoting music. Aziza & the Cure seem to be very adept at understanding exactly which tasks are best managed in house and which ones should be outsourced to professionals. So, I’m very confident that we’ll be hearing more from this band as time goes on. The Biz is a Glide column by guest columnist Pete Mignola, who is the owner and chief engineer of MetroSonic Studios which is located in Williamsburg, Brooklyn. MetroSonic Studios is a world renowned fully analog & digital studio where major & independent labels have recorded & produced, ranging from EMI, Island/Def Jam, Chromeo, Flight of the Conchords and ABC TV. Mignolia opened the studio in 1991 and is still successfully managing & operating it. In addition to this, Pete is also an artist and has a full understanding of what’s necessary to take a music career to the next level..
Posted in Artists, Aziza & the Cure, News, Pete's published articles and tagged brooklyn recording studio, nyc recording studio.